Secure websites are the hardest things to recommend to customers until the worst happens. Not maintaining your websites software will end up with your site getting hacked, loss of the website, loss of email service. Can you afford for this to happen? Don’t leave it to chance, let us look after your online security. Changing content is the best Search Engine Optimisation, FACT. We update your website as and when you want, add pages and news events and ensure your sites moving up Search Engine Rankings. The security maintenance package is included, so your fully protected. Website security won’t mean anything to you unless your website has been hacked. At that point its sometimes too late to recover your losses, particularly if your email has been compromised and used to send thousands of spam emails around the world. We provide a security auditing system to monitor your website and email from that site. We check for changes to files and folders against a safe blueprint of your site to ensure that if someone makes a change we can combat it before it creates a problem. We harden your website against hacking by ensuring you have the latest updates and software at all times. 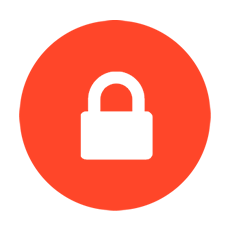 We create files that deny access to hackers and block potential dangerous scripts from being added to your website. The intelligent software we use will also block hackers ip addresses whenever it sees a risk. It looks after your site 24 hours a day to ensure its safe and secure at all times. As a fall back against all the above, we take a full backup of your website and all its content daily. If the worst happens we can overwrite the bad files with a safe copy within minutes. The importance of keeping your site content changing, the best SEO you can buy. We could build you the best website in the world that on day one could hit the top of Google, Page one. If you don’t keep adding good and informative content say goodbye to that top spot. I hate using the words “content is king”, but in this instance I can’t avoid using it because Content Really is King! You need to be constantly making changes, constantly adding new content – letting people know your still there competing for their attention. We offer a service to provide those changes for you on your behalf, we can use your content or create new for you. Prices for this service are dependent on what your website needs but as a staring budget we would allow two hours a month for £29.99. Its better than SEO, its more permanent than SEO and it will eventually get you further than SEO. In fact, it’s the best SEO you can buy. © 2019 Bw Designs Web Designer Doncaster.